Mr. Tom Smith, Grand Knight of Fr. Joseph J. Comyns Council 9638 Knights of Columbus (KoC), awarded three talented student artists for their Keep Christ in Christmas Posters. 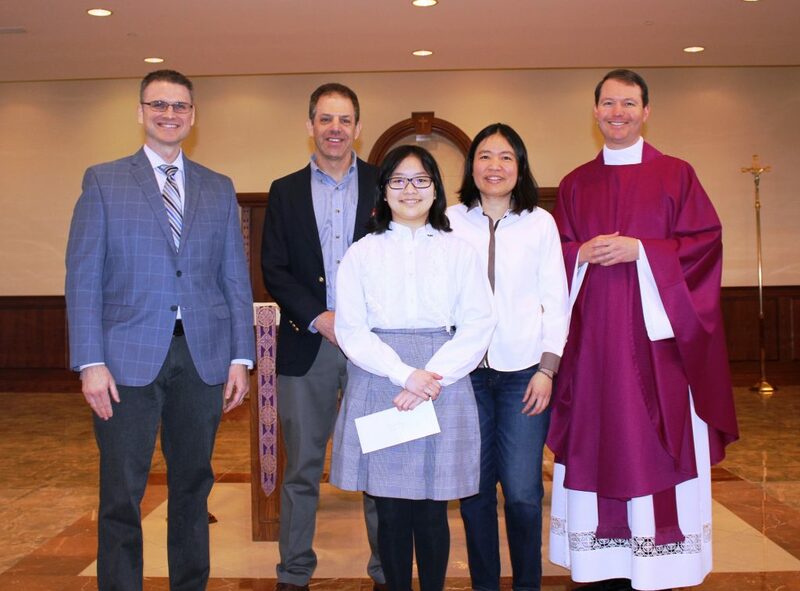 OLPH 8th grader, Anna Dang placed first for OLPH grades 6-8 and, for the second year in a row, took top honors for the state of Maryland. Her poster has been sent on to the KoC National Competition. Anna said this about the award, “This is amazing both for me and those around me. 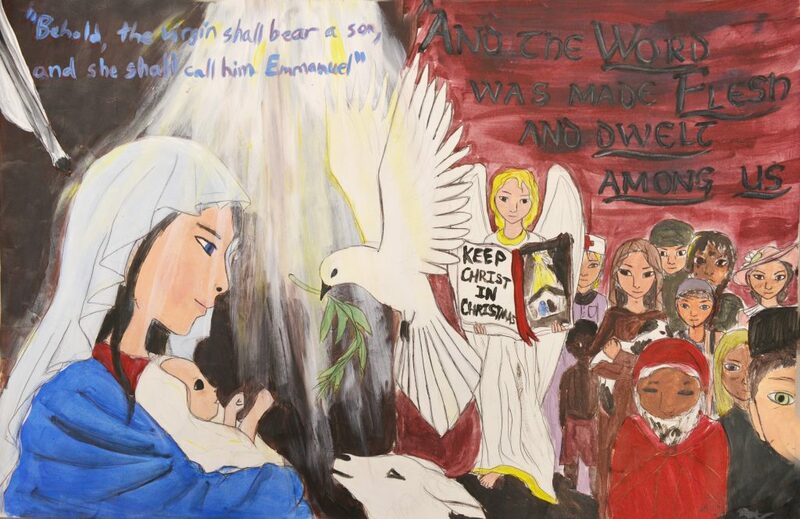 But I don’t think I could have done it if Jesus were not the reason.” The first place poster for OLPH grades 3-5 was created by Vivian Huntington, and for K-2 Mina Doh took top honors.